Today you can score a $2/1 Kashi Product printable for just 50 RecycleBank points! If you are not familiar with Recyclebank you will need to register and earn points to get this coupon. These high value coupons help make a great scenario almost anywhere you go this week. Check it out! 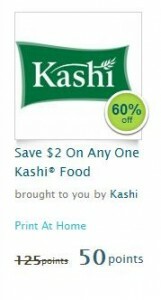 Today you can score a $2/1 Kashi Product printable for just 75 RecycleBank points! These high value coupons help make a great scenario on the CVS $10 Gift Card offer this week. Check it out! Final price=$5 for all 10 after coupons and gift card. That’s just $0.50 cents a box after figuring in coupons and the gift card. Stock up! Thanks, 4 Our 2 Cents! New Redplum Printable Coupons: Nivea for Men, Garnier + More! 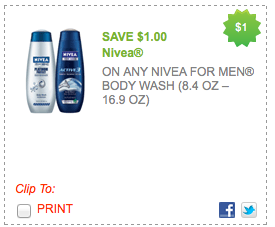 Redplum released a few new coupons today, including a $1 off Nivea for Men Body Wash coupon! The best coupons always go fast, so don’t wait if you see something you know you will use. Most people don’t realize that there is an overall print limit in addition to the per computer limit, so be sure to print them now because there’s a good chance that they won’t be around by the time a great sale hits! Here’s a great coupon offer from Minute Maid! Save $2 off one Minute Maid Juice Box 10 Pack when you share the coupon on Facebook! Minute Maid Juice Boxes sell for $2.98 at both Target and Walmart making them Under $1 per package after this great coupon! Get this one quick as it may not last long! 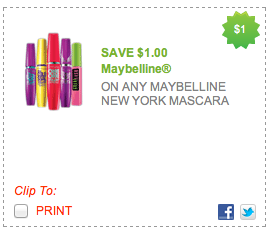 New Redplum Printable Coupons: Maybelline, Sparkle + More!